From steak and eggs to avocado toast, wake up early and start the day off right on the Las Vegas Strip. There’s no shortage of high-profile brunches in Las Vegas, but breakfast is a whole different ball game. 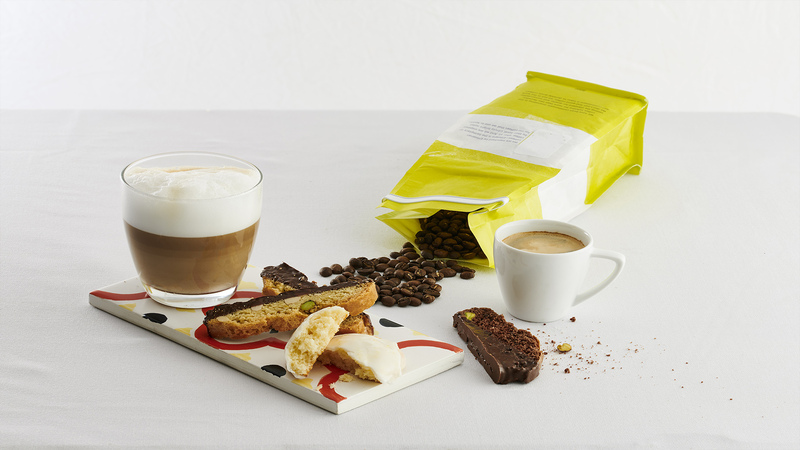 After a wild night at the clubs, wake up early and get things back on track with the most important meal of the day — not counting happy hour. Inspired by the Golden Age of Provence, Primrose brings a carefree breezy style to the lobby of the new Park MGM. 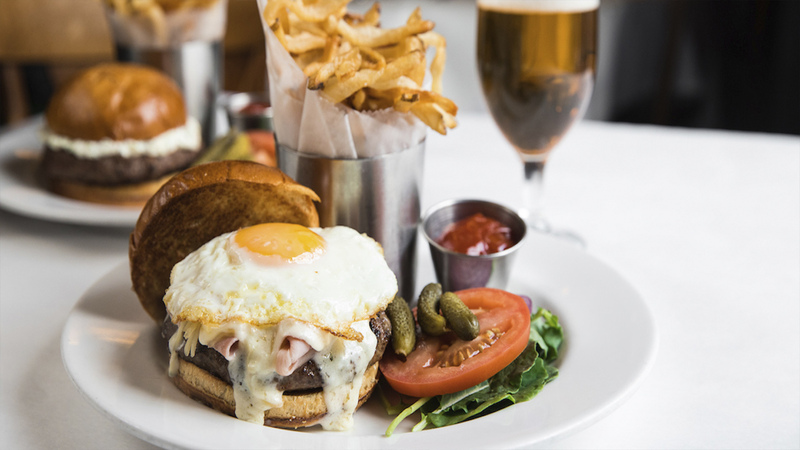 The steak and eggs overachieves with a petite filet and a savory serving of roasted potatoes while a fried egg covers the Croque Madame in a runny yolk from the first slice. Yet there may be nothing more satisfying than dragging a piece of avocado through the seasoned Greek yogurt at the center of the Mediterranean plate. No matter what you order, grab a seat on the outdoor garden patio, perfectly shaded for breakfast before the midday sun rises over the Vegas Strip. You’ll be hard-pressed to find a better egg sandwich on the Strip. 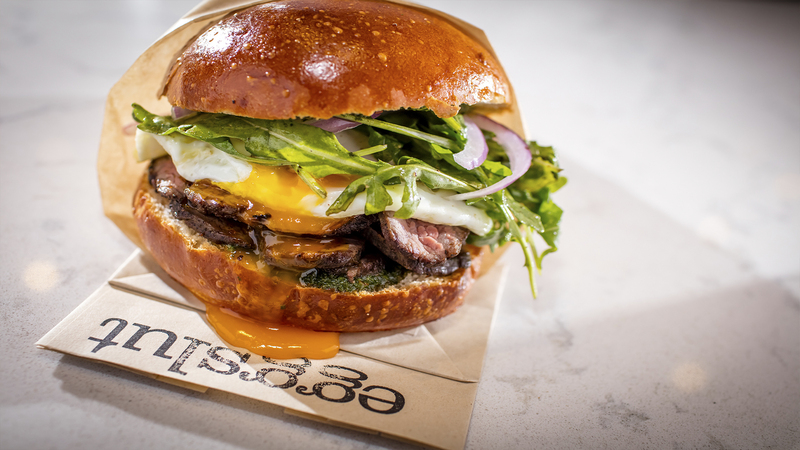 Originally a food truck in Los Angeles, Eggslut has developed into a full-blown restaurant with an exclusive Las Vegas location at the Cosmopolitan. 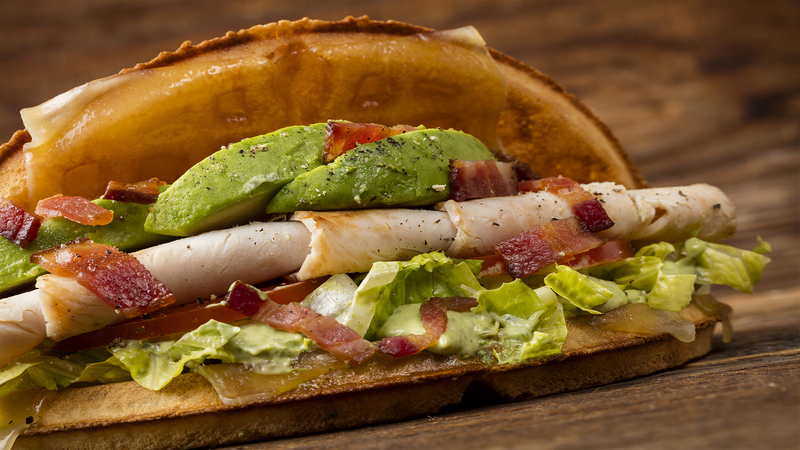 The menu of breakfast-focused sandwiches ooze with flavor and fresh ingredients. Order The Gaucho (prepared with an over-medium egg, tri-tip steak, and arugula) and pair it with a fresh drink from the Juice Standard around the corner. 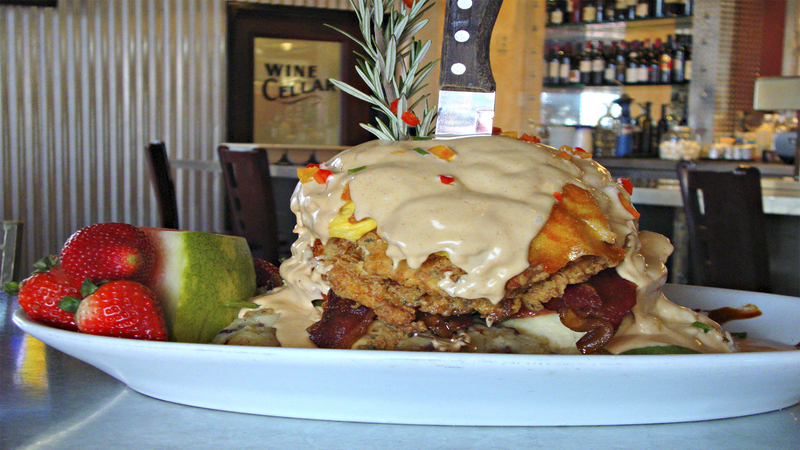 Although founded in San Diego, Hash House a Go Go has become a Vegas staple with four locations throughout the valley. Offering five takes on eggs Benedict and seven signature hashes, the ingredient-driven menu has enough variety to please both locals and tourists. 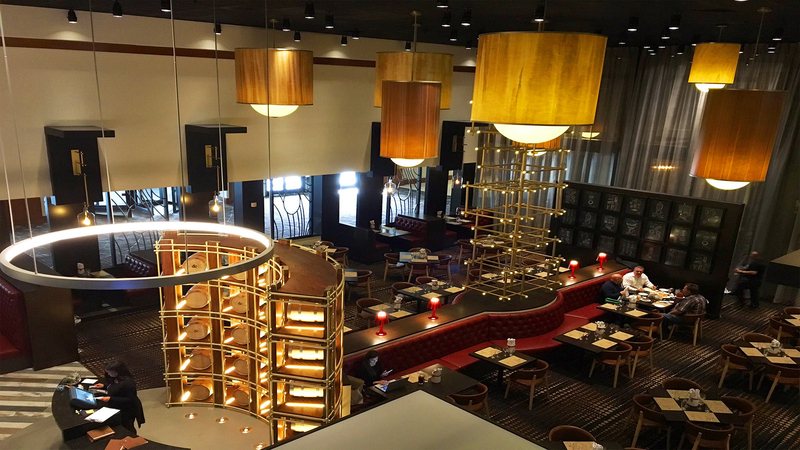 This hidden gem at the recently renovated Westin is a whiskey lounge and restaurant by night and the hotel’s main breakfast joint each morning. The culinary team uses carefully sourced ingredients to make sure every bite, from the corned beef hash to the Nutella French toast, tastes vibrant and flavorful. Some people crave variety more than anything else. 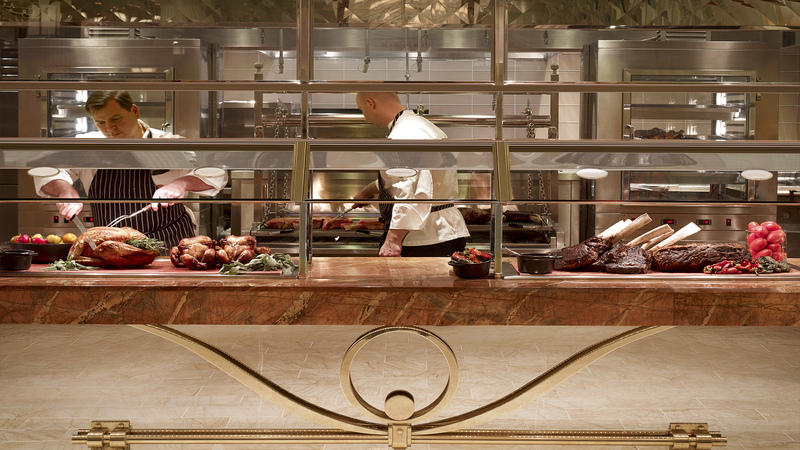 If you want to try a classic Vegas buffet for breakfast, you can’t go wrong with The Buffet at Wynn. Individual stations are ready to serve carved ham, made-to-order omelettes, and on-the-spot pancakes alongside fresh mixed juices and coffee. A great deal at $24.99 with an optional add-on package of endless mimosas for $19.99. 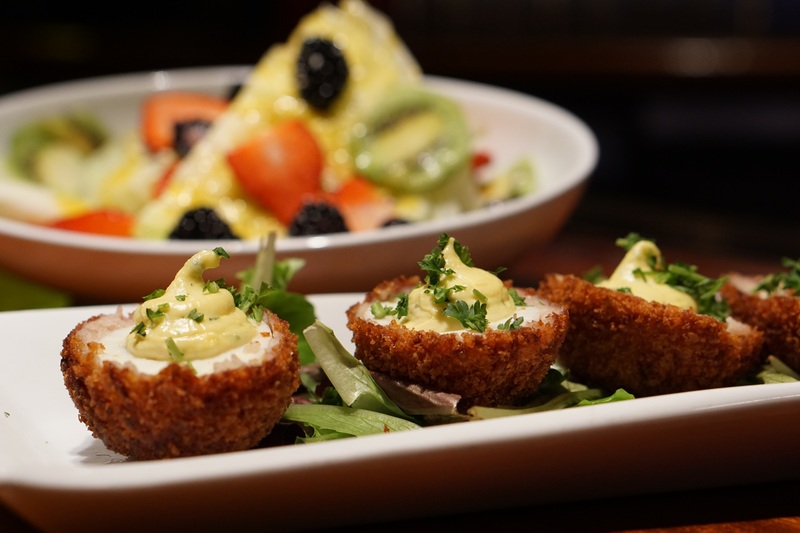 You may be surprised to learn this Irish pub opens bright and early throughout the week, serving a full breakfast menu featuring meats and other ingredients imported from the Emerald Isle. Stop by for corned beef brined in-house for 10 days, some deliciously authentic Irish bangers (sausage and potatoes), and steel-cut Irish oatmeal. Don’t forget — it’s never too early to order a Guinness. After making a splash with her own self-titled restaurant at the Cromwell, celebrity chef Giada de Laurentiis is serving up something more casual at Caesars Palace. Grab-and-go sandwiches are the specialty, but breakfast options include chia seed yogurt parfait, muffins, and pressed juices. It’s also the only place on the Vegas strip serving java exclusively from North Carolina’s Counter Culture Coffee. Open at 9:00 a.m. every morning, Bruxie is the master of the fried chicken and waffle sandwich. The signature dish is made with a fresh chicken that’s never frozen and marinated in buttermilk for 24-hours before being fried to order and served on a not-too-sweet waffle. Otherwise, check out the green eggs and ham breakfast sandwich or chocolate-filled Liege-style waffle.